There’s a skills shortage in AI. Thinking of retraining? Here are some free learning resources to find out if it is for you. If you’re at all interested in Artificial Intelligence (AI), it’s unlikely to be news to you that there is an AI skills shortage. Businesses are increasingly looking to invest in AI and are on the hunt for suitably skilled workers since traditional software teams without the experience of AI often encounter a number of challenges, as I described in a recent article over on DZone. Anyone thinking about joining the AI workforce will want to learn the subject, initially by doing some reading and research, but without committing to paying too much. But where to start? 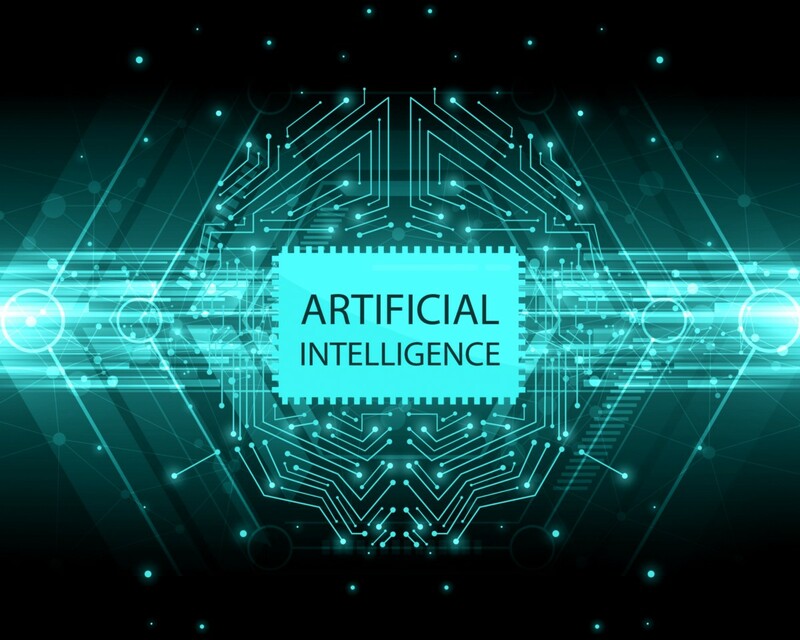 As the need to recruit skilled AI staff has grown, so a number of businesses and individuals have set out to provide training courses, books, and e-learning, and the price and quality of these vary, as you would expect. As with all education, if you commit a chunk of your time, you don’t want to find it wasted on out-of-date or incorrect information or to find that you are missing out on key skills after spending time and money on a course that promises to equip you appropriately. This article lists some of the best AI learning materials that are available for free. I’m bound to have missed a few; please let me know your favorites in the comments and why you think they should be included. I should point out that I’m not affiliated in any way with the organizations below, except Peltarion, for whom I occasionally write technical articles, which are available for free download on their website. Udacity started life as an experiment in online learning when Stanford instructors Sebastian Thrun and Peter Norvig put their course “Introduction to Artificial Intelligence” online for free. Since then, it’s seen huge levels of uptake (160,000 students in more than 190 countries) and now offers courses in a range of technical subjects involving AI. Some of the most recent include what they label “nanodegrees” in flying cars, driverless cars, and robotics, which are certification programs that you can complete in six months or so, depending on the time you have available (you need between 10 and 20 hours per week). The nanodegree courses are expensive, but you end up with a qualification recognized by increasing numbers of employers who are looking for new hires. However, if you want to dip into AI more cheaply, or maybe don’t have the time to commit to a nanodegree, there are still a large number of Udacity courses available for free, such as Introduction to AI and Introduction to Machine Learning. Udacity’s offerings are available at https://eu.udacity.com/courses/all. Kaggle is a community for data scientists. They host a public data platform where you can find some interesting data sets, and they host competitions for Machine Learning projects based on the data. They have some learning materials here, which are short but comprehensive, covering Machine Learning and Deep Learning. The courses emphasize practical skills instead of abstract theory, so you will be coding from the outset. That said, they are suitable for beginners (with a bit of Python knowledge), and for data scientists expanding their Machine Learning toolkit. Microsoft offers a set of learning materials via the Microsoft Professional Program in AI on EdX. The training takes “aspiring engineers from a basic introduction of AI to mastery of the skills needed to build deep learning models for AI solutions that exhibit human-like behavior and intelligence.” There are ten courses offered, plus a capstone project, and all are free to access but require a fee if you want a verified certificate for your digital CV. There are some nice elements, such as an introduction to the mathematics needed for AI and a course on ethics and law in data analytics. The materials of some Coursera courses are available for free; you won’t earn a certificate unless you make a payment, but everything you need in order to learn the subject is provided. One of the best known and most well-regarded courses using this model is Andrew Ng’s Stanford course on Machine Learning. Other Coursera courses come with a fee to access course material after a 7-day free trial option, or a mixed model, whereby you get access to some content for free (the videos) and pay to unlock other sections such as the assignments. Of those courses, I found a few that look promising from large organizations with an interest in educating a new generation in AI, and I’ve listed a couple below that have a high number of positive reviews. You can search for others on the Coursera website. The fast.ai course on Practical Deep Learning for Coders has received great feedback for its hands-on approach to learning. Stanford’s courses have a fantastic reputation in AI circles. A number of their courses are made available on YouTube, such as CS231n Convolutional Neural Networks for Visual Recognition. Hugo Larochelle’s website contains links to a plethora of useful learning content about Deep Learning. There’s probably more than anyone can absorb, but you can cherry pick the areas you are interested in. “Artificial Intelligence: A Modern Approach,” by Norvig and Russell, is often-cited as the book on AI. The /r/artificial subreddit has a great list of books, but there are so many out there for different levels of expertise and interest that recommending which book to commit your time to read would form another article entirely! Please leave me a comment in the section below with your particular favorites. I’m sure I don’t need to tell you to look on Google for access to free chapters from eBooks or PDF downloads. Some publishers run deals on books if you sign up for the newsletters, and you can download eBooks at massively reduced rates on occasion (look out for some particularly good deals on Cyber Monday, which is the Monday after US Thanksgiving, for those outside the US). Amazon has a Kindle Unlimited scheme, which gives you access to a curated library of e-Books for a monthly subscription. They often offer 1 or 3 months free on the scheme, so if you have a kindle and sign up for Unlimited, you can access the catalogue for free for a set amount of time. Be aware, however, that the selection of books is limited — not everything available for Kindle on the Amazon website is in the scheme. In the UK, I found the best selection of AI titles curated under the “Robotics” section. A shout-out for the team at Peltarion, with whom I work occasionally. They have written a small eBook — “The essential AI handbook for leaders” — which is available free online. It’s pitched at an informative level without going into heavy detail and is a good place to start if you’re not sure exactly where you want to direct your initial efforts in learning AI. Another company offering a trial period is the publisher, O’Reilly, on Safari Books Online, which has a range of books (as well as online training and O’Reilly conference videos). The collection ranges from highly specific to general titles, and you can sign up for a free 10-day trial without giving credit card details. This gives you access to the entire library, so if you have a free week to commit to intense study, this is one way to bootstrap yourself into AI. Kaggle has a free Python course that runs over 14 hours and teaches you the basics. Udacity runs a number of free courses on Python, including an Introduction to Data Analysis that teaches the use of the NumPy and Pandas libraries. If the math behind data science is an enigma, the Khan Academy is a great place for insight. There are courses for different levels, and Sal Khan’s relaxed delivery will get you through even the most difficult concepts (I think I have a small crush on him after the hours I’ve spent listening to his narratives!). Here’s a good starting point. The surge of interest in AI is providing some great opportunities to “re-skill” and find work in the technology industry. Even if you don’t intend to be a machine learning engineer, there is still much to be gained in understanding the basics, as described recently by the Chairman of Nokia, who taught himself over a period of months, and decided to communicate how to do it to others. Learning subjects in this area is no trivial task, but there are plenty of materials to help, and a number of them are free or low-cost. Many providers will offer special rates or financial aid to those who need it. Perhaps this article will encourage you to evaluate some of the resources available. If so, good luck and happy learning!